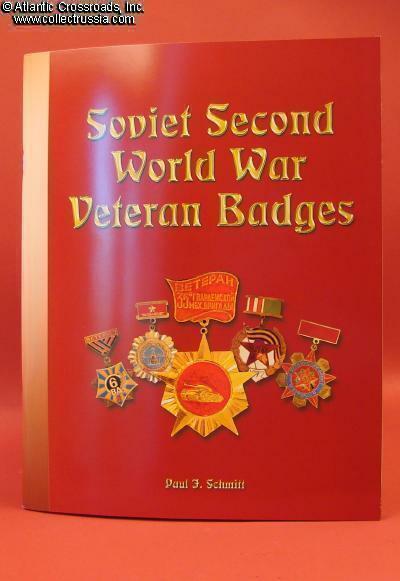 "Soviet Second World War Veteran Badges", Paul Schmitt. 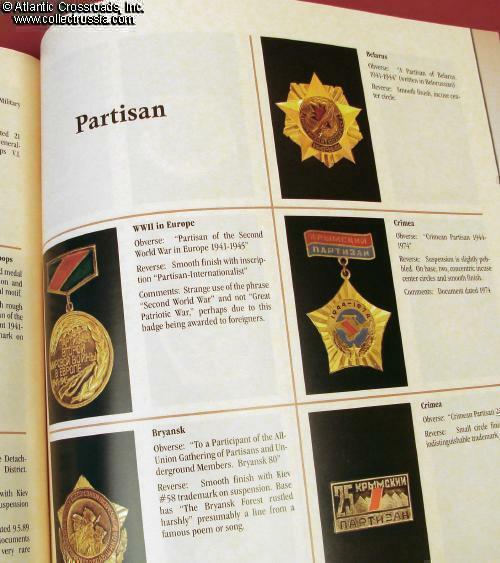 "Soviet Second World War Veteran Badges", Paul Schmitt. C. 2008,	English text, 8 ½" by 11" format soft cover w. gloss finish, 79 pp., over 400 color photos. This is the first ever English language reference on what has always been an interesting - and until now scarcely researched - field of collecting. Soviet Patriotic War Veteran "tinnies" are significant both for their historical references and because they were issued exclusively to surviving participants of the battles. 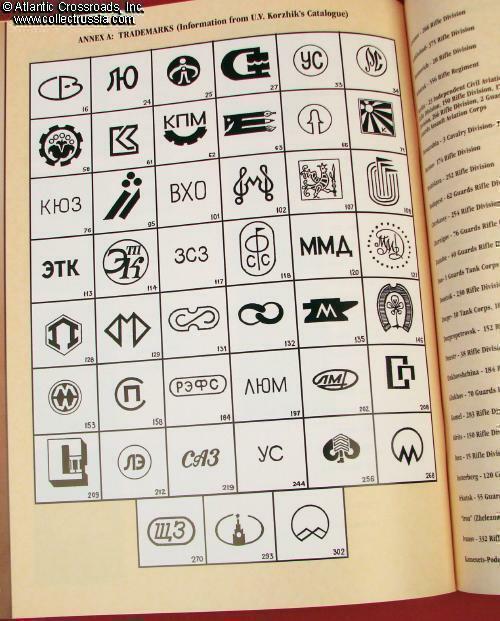 Unlike the innumerable jubilee and souvenir pins, they could not be purchased at Souyzpechat' kiosks and in most instances, did not have a price stamped on the reverse. 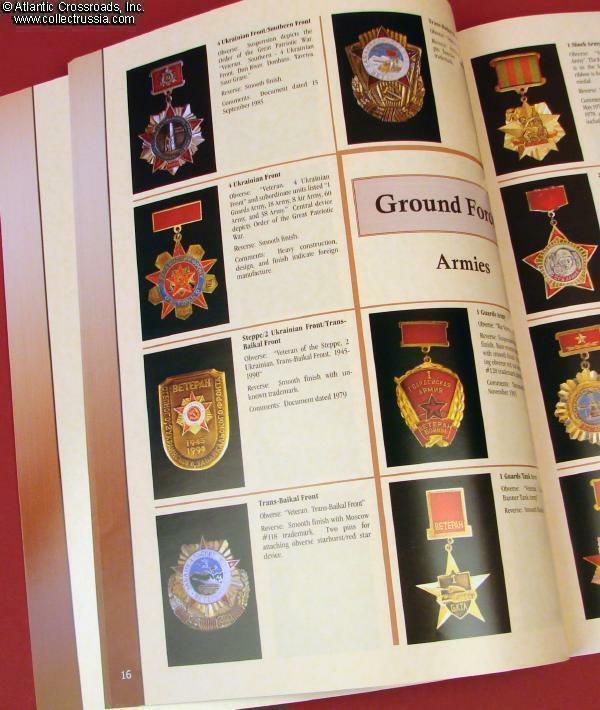 Most of the veteran pins were produced in relatively small numbers seldom exceeding 5000, reflecting the small number of the former unit servicemen still alive. 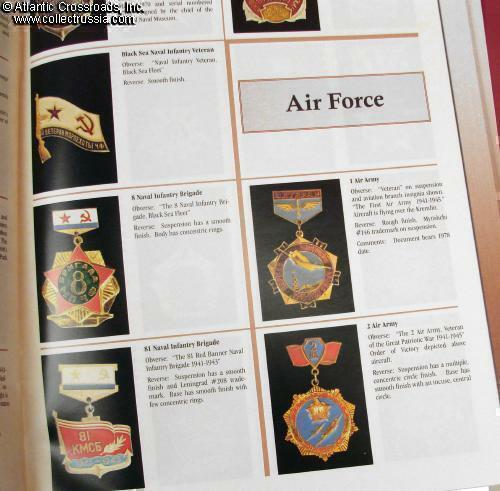 This booklet contains an informative introduction, over 400+ identified badges in color with their description and comments, logical arrangement system, a chart of 45 identified trademarks, bibliography, and photographs of veterans wearing their pins. 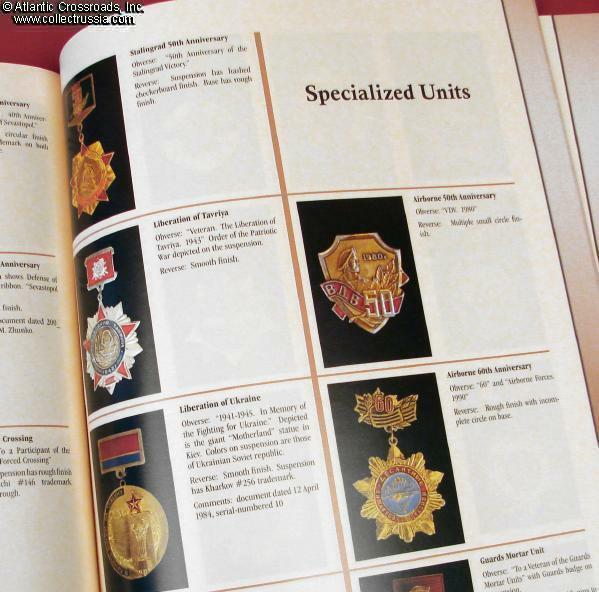 Arranged by military units from the front level down to regiment with air force, naval, partisan, battle participants, specialized units, and even some badges of unknown provenance. 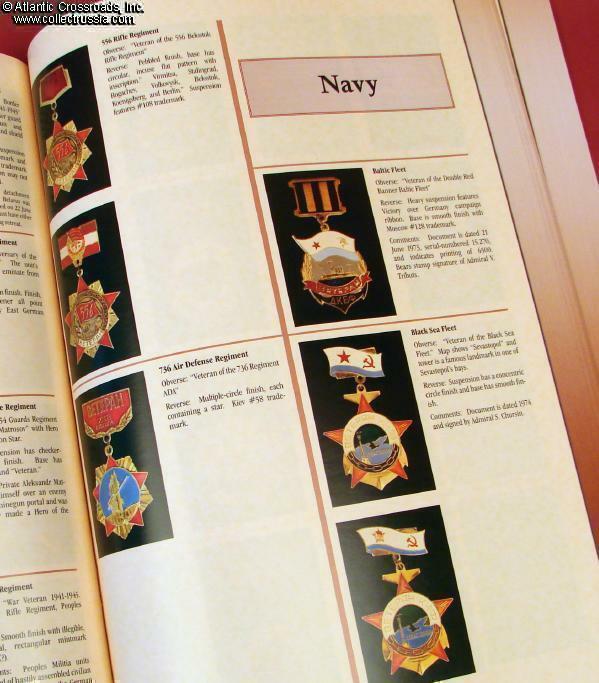 Written by the highly regarded author of the "Echoes of War" and co-author of "The Comprehensive Guide to Soviet Orders and Medals", this book utilized his years of collecting experience as well as fluent knowledge of Russian language. 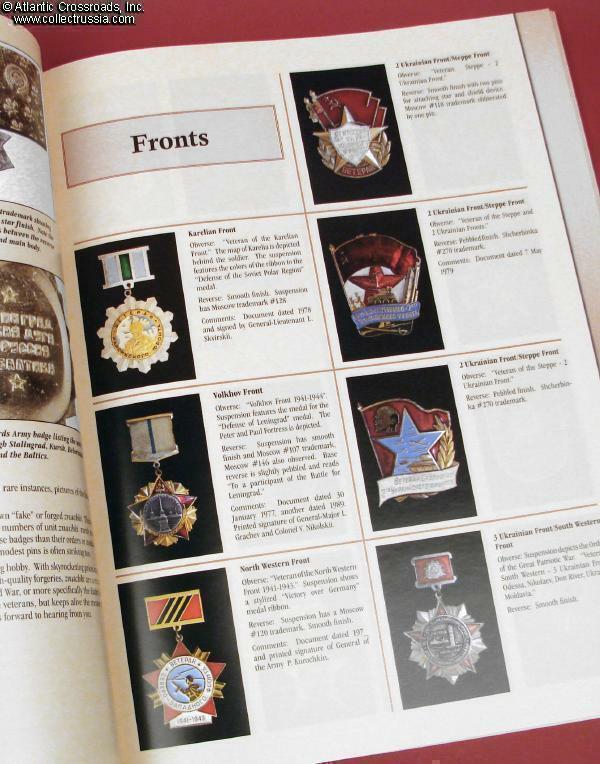 Although written for a militaria collector, the catalog may also prove an excellent tool for a historian: a unit pin in the veteran's post-war photo often provides the only clue to his WW2 service. Brand new copy in mint condition.